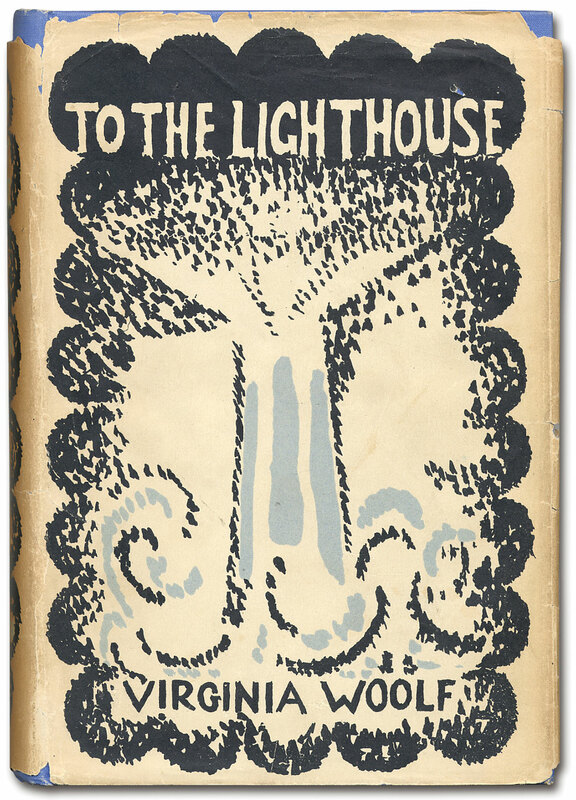 Virginia Woolf’s To the Lighthouse is a novel of artists and within its pages appear two characters who are clearly labeled as such. One artist is Augustus Carmichael, the poet who spends his days reclining on the lawn. We are told that his work meets with success after the war: “He was growing old...he was growing famous” (Woolf, 1927/2005, p. 197). Beyond that we know little about him save the few thoughts by other characters about him. The other labeled artist is Lily Briscoe, who spends nearly the entire book either painting or thinking about her painting. Everything in her world, it seems, is anchored to her artwork. Interestingly though, Lily is not eager for others to view her work. In fact, she actively monitors her surroundings to prevent such an occurrence: “she kept a feeler on her surroundings lest some one should creep up, and suddenly she should find her picture looked at” (p. 21). It is by the thoughts and from the viewpoint of this private artist that we find the majority of the story narrated. There is, however, another significant artist in the story: Mrs. Ramsay. Focusing on her dinner party as her major artistic endeavor reveals several parallels to Lily’s artistic work, ranging from descriptions to demises. While Lily’s art can be described as the art of representation, Mrs. Ramsay’s is best considered to be the art of connection, and ultimately it is Mrs. Ramsay’s art that allows Lily to complete her own, while providing a glimmer of hope for its permanence. "So much depends... upon distance"
This passage does two things to position the party in the realm of art. The first is its allusions to Neptune and Bacchus. Like so many artists before her, Mrs. Ramsay is connecting her creation to those characters and scenes that have come before and that readers and viewers will recognize and identify with. Furthermore, Woolf specifies in parentheses that the image Mrs. Ramsay has in mind is, in fact, another painting, as if to make certain readers do the same. To further identify the dinner party scene as a painting, Woolf chooses to not only zoom in on the details, but to exclude everything beyond the scene. She notes that the “faces on both sides of the table were brought nearer by the candlelight,” “the night was now shut off by panes of glass,” and that the attendants “were all conscious of making a party together in a hollow, on an island” (p. 99). In this way, the dinner scene takes on the characteristic of a painting as everything outside of the viewable area ceases to exist. As in a painting, the viewer is not privy to what exists, if anything, outside of that which the artist has chosen to recreate on the canvas. In this way, the scene has been described like a painting, has referenced another painting, and been framed as a painting. This perhaps leaves readers with the responsibility of likening the scene, when viewed in the context of the novel, to some other work of art. Described as it is, in many ways the scene comes to represent the novel’s own Last Supper. This is a group of people from varied backgrounds gathered together to eat at one table, at the behest of a central character who serves to unite them. Many of these characters, including the event’s creator herself, will soon die, making a repeat of the evening an impossibility. Every part of the description of Lily’s painting echoes Mrs. Ramsay’s dinner party. From the action of ladling soup represented by Lily’s brush strokes to the paint “flickering” over the canvas as the candles flickered over the faces around the table at the dinner party, to the “brown running nervous lines” that enclose the space much as the window panes did at the dinner scene, to the “hollow of one wave” as a reprise of the party “in a hollow, on an island,” these two scenes are inextricably linked on every level by way of their descriptions. Beyond that scene in particular, though, Mrs. Ramsay’s thinking, as she attempts to guide the party in the directions she desires, mirrors Lily’s thinking as she paints, both before the dinner party and all those years later. We see Mrs. Ramsay acknowledge this fact: “Raising her eyebrows at the discrepancy—that was what she was thinking, this was what she doing—ladling out soup...” (p. 86). Unlike Lily’s watching the others in their various activities as she paints, however, Mrs. Ramsay’s thinking is for a purpose; hers is to complete her own artwork. Lily uses an easel, canvas, brushes, and paints to create her art, but Mrs. Ramsay must use the dinner—its decorations, its food, and most importantly its attendants—to create a sense of connection among those attendants. Only in this will her project be a success. So she begins with ordering the Boeuf en Daube ahead of time, worrying about it being burned, telling the girl where to set it on the table, and ensuring that Mr. Bankes receives a choice piece. She also instructs her guests where they should sit: “‘William, sit by me,’ she said. ‘Lily,’ she said, wearily, ‘over there’” (p. 85). This is an ongoing process that, in fact, she notes should be adjusted in the future. Though they were the two she seated first, Mrs. Ramsay realizes she has made a mistake with Lily and Mr. Bankes. “Foolishly, she had set them opposite each other. That could be remedied tomorrow” (p. 106). And Mrs. Ramsay has grander plans for them than dinner conversation: “Oh, but nonsense, she thought; William must marry Lily. They have so many things in common” (p. 106). Ronchetti, A. (2004). The Artist, Society & Sexuality in Virginia Woolf’s Novels. New York, NY: Routledge. Wirth-Nesher, H. (1976). Form as fate: Everyman as artist in Virginia Woolf’s To the Lighthouse. Bucknell Review, 22(2), 71-80. Woolf, V. (2005). To the Lighthouse. Orlando, FL: Harcourt. (Original work published 1927). Ben Beach graduated in 2016 with a Masters degree in English from University of Texas at Tyler in Tyler, TX.